These are a little late but it’s time for another Monthly Favorites post! I’ve got quite a few this past month. I know I’ve talked about this before but I recently started using it again and it’s the Maybelline Color Tattoo in Bad to the Bronze. It’s a beautiful copper shade and when applied to the lid, it’s a really beautiful shine of color. It’s also really buildable so it can be darker on the crease. And it lasts all day! But I guess I don’t have to rave about it too much do I? Everyone does! Next up is the Lorac Romantic Rose palette. I mentioned this in my valentine’s day makeup post here and it has definitely been a favorite for the whole month. The Champagne shade in particular is just stunning all over the lid. I picked up this palette at Nordstrom Rack so I would check there or other discount stores like that to see if it’s available! 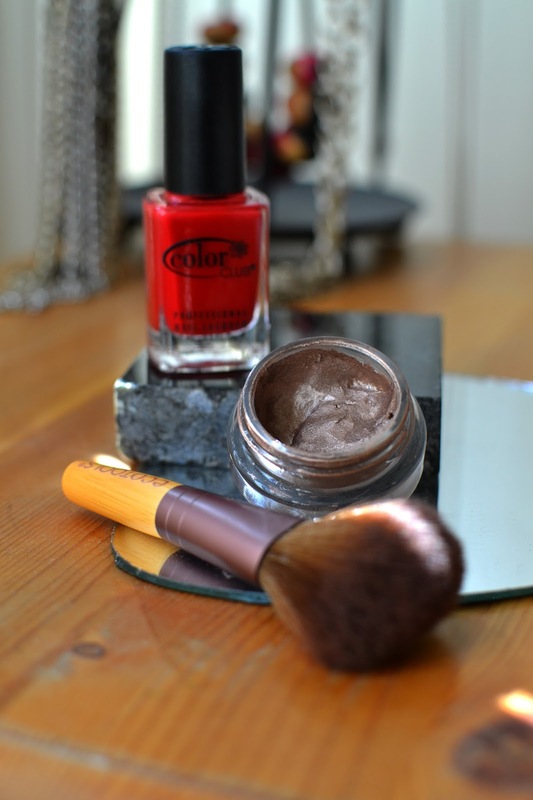 Last – a beautiful red nail polish! I actually borrowed this shade from my roommate but I love it! I’ve been wearing a lot more red recently and this shade of nail polish just brightens my day. I wouldn’t really recommend this brand in particular (it chips really easily) but I’ll link some similar colors because it’s such a vibrant color. As winter is coming to a close I thought I’d mention some new moisturizers I’ve added to my skincare routine recently. The first being the St. Ives Timeless Skin Moisturizer. I’ve been a big fan of St. Ives for a while and a friend of mine gave me the moisturizer and I LOVE it. 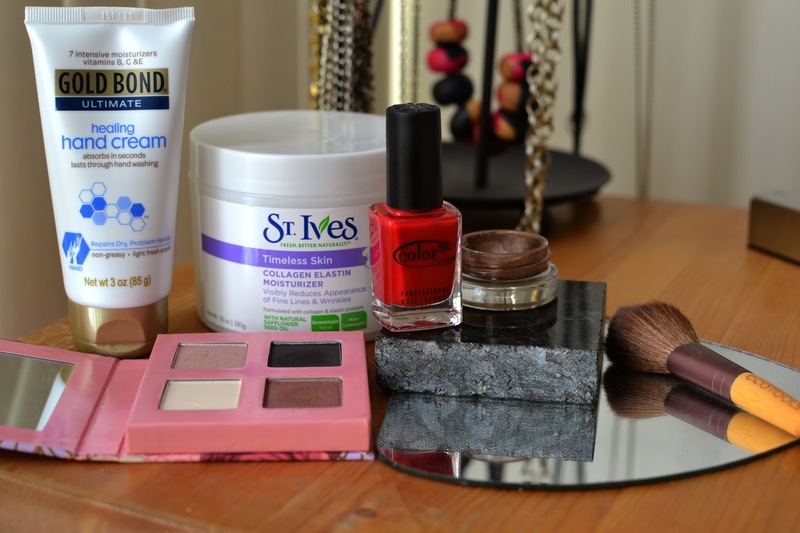 I thought my make-up went on smoothly after applying my other moisturizer and boy was I wrong! In the mornings, I’ll apply this and then put on a bb cream and my skin feels so smooth, soft and my makeup stays on all day. It does have a slight scent so if you’re not a fan of that, be weary of this product. 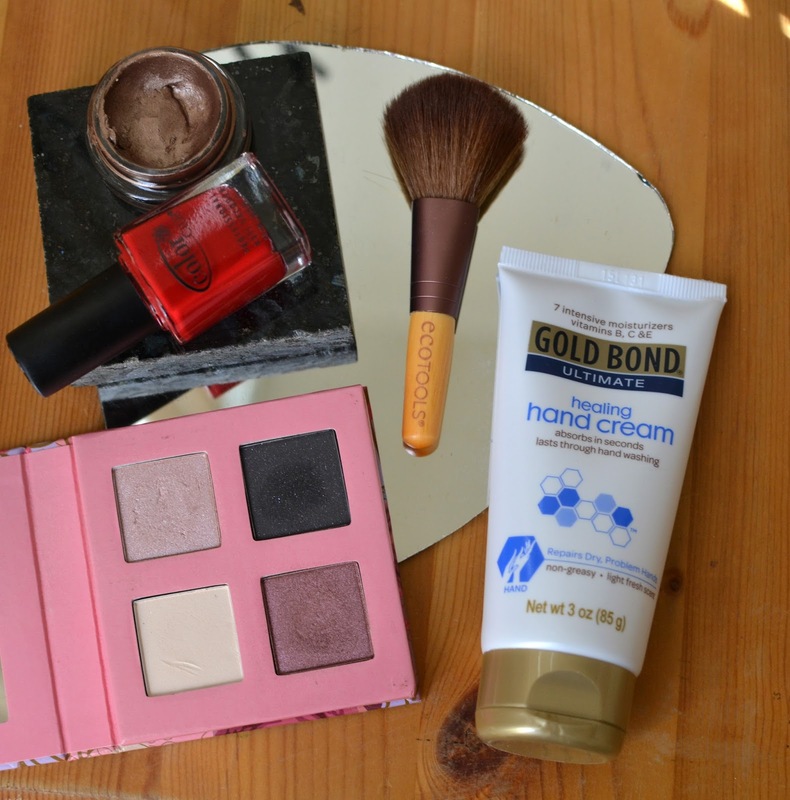 My next Skincare favorite is the Gold Bond Hand cream. I’d been looking for a hand cream for a really long time because my apartment was so dry and this one works wonders. I apply it at night before I go to bed and my hands stay soft the entire next day! It’s not greasy at all and leaves my skin so soft. It’s pretty thick so I like to use it at night but I’m sure in the mornings would be fine too. I finally got a job! I know I’ve talked about it before but it feels so good to finally get a paycheck. NEW DOMAIN! If you haven’t checked – I got my own domain! It’s something I’ve been putting off for a while and I’m not sure why I was in the first place. I feel really good about it and I feel really good about where my blog is heading. What have you been loving the past month?